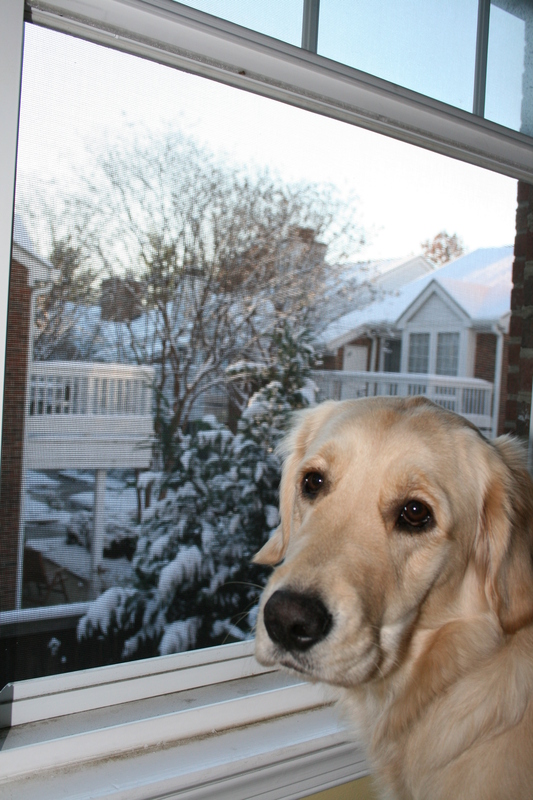 As the greater DC area accumulates our first significant snowfall of this winter tonight, you may wonder if your dog needs extra insulation against the chill. The article confirms that short-haired, inactive or elderly dogs should be protected from extreme temperatures. 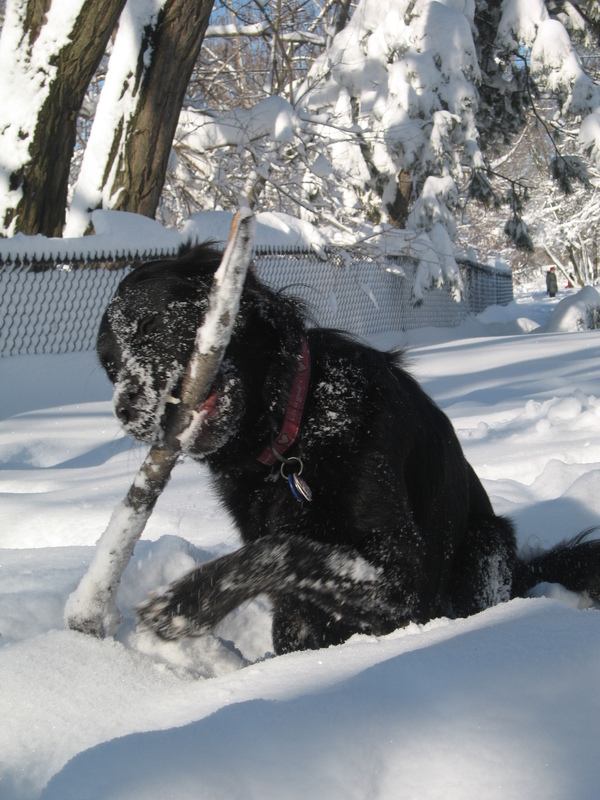 But young, active dogs with a sufficient amount of fur should be just fine for a romp in the snow. Think about it. As this story from ABC/Good Morning America points out, the Siberian Huskies that run the Iditarod don’t wear coats. But one benefit of putting your pooch in a poncho happens when you come back indoors. Snow melts. So while your dog’s health may be just fine, you have to deal with a wet dog, or a vigorous toweling-off. If you’ve invested in even the thinnest coat, all you do is take it off, hang it up to dry, and enjoy your clean, warm, dry dog.